After our trip to Jai Yun, the next SF Eaters destination was a wonderful seafood restaurant called Anchor & Hope, which is in SOMA. One of the main drivers for us going to that restaurant is because their lobster sandwich had recently been featured as one of the best sandwiches in the city in San Francisco Magazine. Unfortunately my camera did not join us for dinner, so there aren’t any photos to share, but the seafood was delectable. Looks pretty good, doesn’t it? It was definitely one of those dishes where you really had to work for your food. As for the taste itself, there were certainly strong salt and pepper flavors, and the grease was practically dripping off your fingers while you were eating it! This dish was one of my favorites. 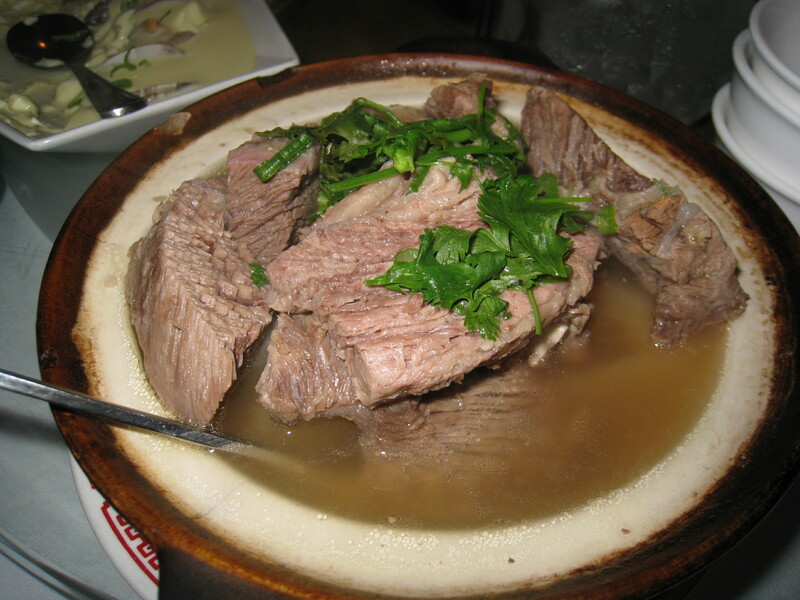 The meat was so tender and the broth was superb and the taste was strong, yet subtle. 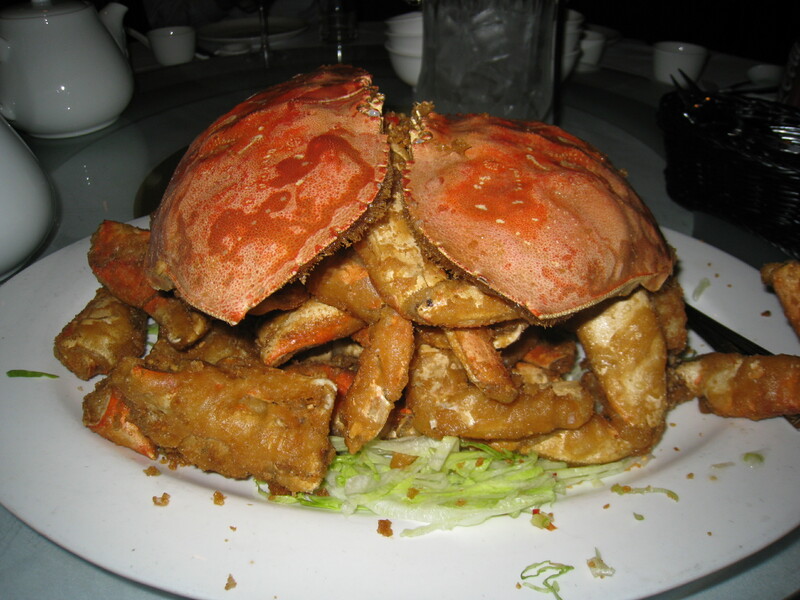 The Hong Kong Flower Lounge in Millbrae also does a very good version of this dish, but the jury is out as to which one is actually better. Qie zi! 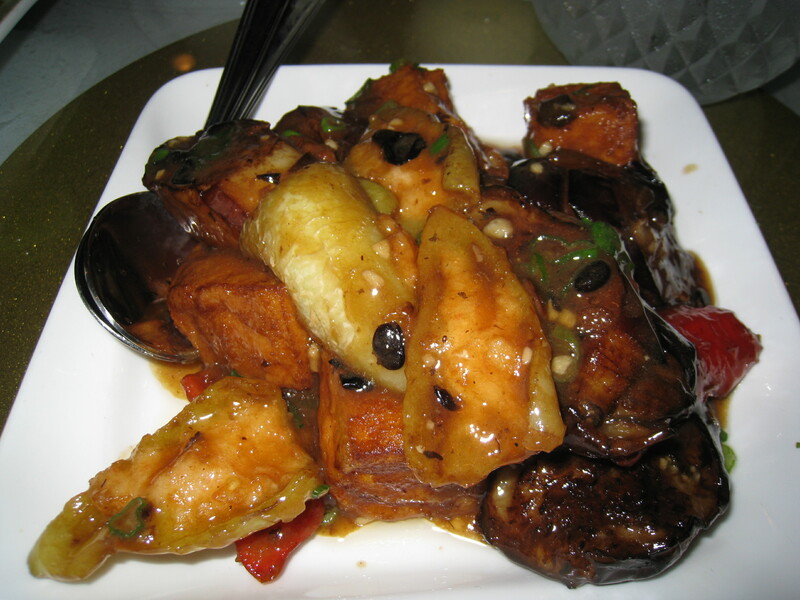 That’s how you say eggplant in Chinese. That’s also a phrase you might here before a picture is taken as well:) After this fantastic meal, all the SF Eaters went home with a satisfied appetite, perhaps even a bit stuffed. Next time, we’ll see whether portion control works out!